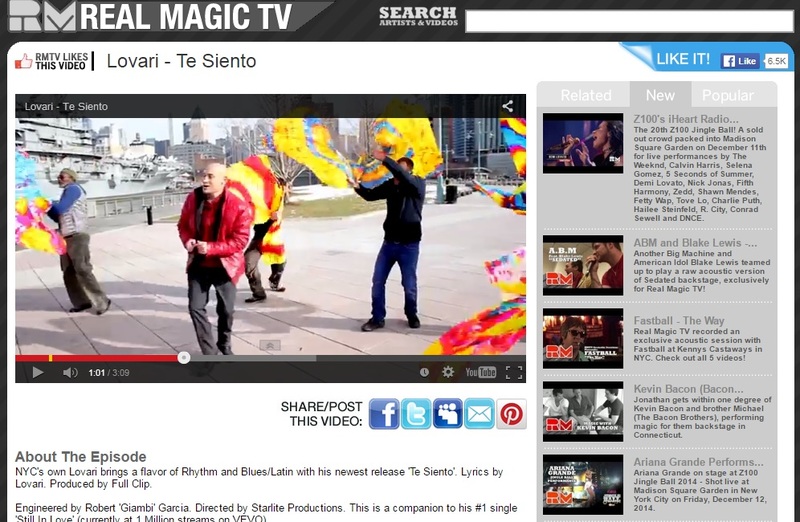 RMTV (Real Magic) episode features Lovari's "Te Siento"
Commonly known as “RMTV", Real Magic TV is an interactive television series that features magic with world-famous musicians and celebrities. The show’s main focus is on following internationally renowned close-up magician Jonathan Real as he performs for small intimate audiences that often include chart-topping musicians and famous actors. RMTV presents a candid look behind the scenes as the interactions between Jonathan and popular stars take place.